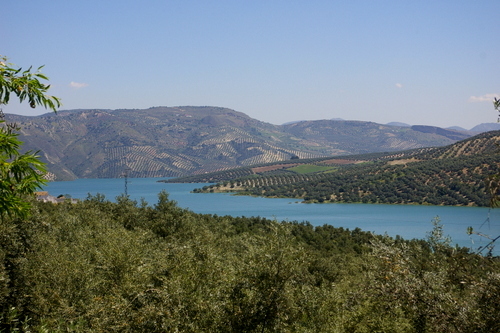 Our house is a wonderfully private old Spanish farmhouse set in its own olive groves, which look onto the lake near Iznajar, and has views both up and down the valley. 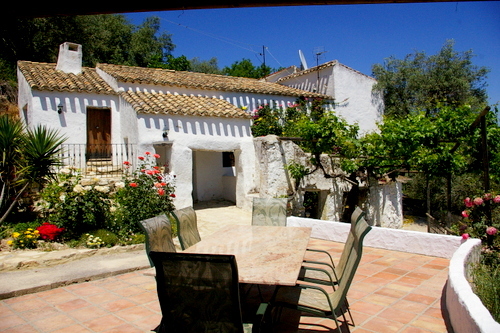 Enjoy a glass of wine on the terrace, sit back, admire the views and soak up the sunshine in this rustic rural haven located in the very heart of Andalucia; only 20 minutes from the ancient city of Antequerra. Or, for those of you with a little more energy, float around the private pool, play boules on the private boule court, walk or cycle through the olive groves down to the lake or just have a quiet game of darts.